WordPress is an interesting animal! It started out as a basic blogging platform and has grown since then. I actually ran across it by accident poking around in cPanel a long time ago. Ever since that day, I’ve been in love! Like I said, WordPress began as a simple content management system for bloggers. It was pretty light, fairly simple to install and use and worked great for what it was meant for: blogging. I’m here to tell you it is still light and easy but it has grown to be much more than just a blogging platform. Extensions and non-blog WordPress themes have done a great job making it into the CMS it is today and through the upgrade process, many of those useful extensions have been built in and now it works great running all sorts of sites. 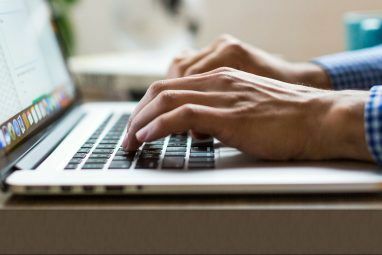 This article will introduce you to 5 non-blog WordPress themes that will show you how well WordPress does on sites that aren’t necessarily blogs. A few of the site types you’ll see are: magazines, church sites, portfolios, and photography sites. I have looked around and found some of the best themes for the jobs and I hope you enjoy. Magazines have hit the internet and they’ve done well creatively. I think a good magazine site will be colorful, easy to navigate, highlight main or new articles and will draw your attention to the content. When it comes to magazine themes, layout makes a big difference. Newspress does a good job of immediately getting your attention. Across the top, you will see articles being highlighted with pictures from the individual articles. I believe the theme does this automatically for you. There are some customization options and a widgetized footer for further flexibility. I think WordPress lends itself very well to running a site like a church site. That’s because of the amount of changes a church site could see on a weekly or monthly basis and WordPress is a fairly simply CMS to learn. Churches don’t always have the budgets for professional webmasters or design professionals so a simple CMS and free non-blog WordPress themes make life a lot easier. The Delta Theme is a very amiable choice for a church website. It’s layout is very easy to figure out and shouldn’t be all that unfamiliar to someone who frequents church sites. With easy page navigation up at the left of the banner, and a thin sidebar directly beneath, and a wider right sidebar, there is plenty of room for things like services times, contact information, and calendar widgets. If you are a design professional of any type these days, you’ll be wanting a presence on the internet. You’d want something to grab and hold attention, using graphics and photos that are large enough to show off your skills. You’ll also want it to be easy to navigate as to not frustrate any potential clients. WordPress makes setting it up easy… with the right theme of course. The WP-Creativix theme may just be the portfolio theme you’ve been looking for. In my opinion, one of the best portfolio themes, WP-Creativix has many of the features a design professional may be looking for. It has easy page navigation along the top, large pictorial previews of each project just below the page navigation, and an easy scroll through of the rest of your projects. A good photography site or blog will actually get out of the way and allow the photography to take center stage. That not only means that the design should not be distracting, but also that the navigation should be unobtrusive. You can also have a page set up for each photo explaining about it. Wordpress, with the right theme, can help you accomplish all of this quite easily. is one of those photo blogging themes that gets out of the way. Notice how the page navigation is small and subtle. There’s a search box but it’s not distracting. There are arrows on either side of the photo allowing you to easily flip through the photographs. There’s also a caption and quick description which also allows you to click through to a post that tells more about the photograph. All you can ask for in a photography theme, right? As mentioned in an earlier article, How To Use WordPress As A Twitter-Like Communication Tool How To Use Wordpress As A Twitter-Like Communication Tool How To Use Wordpress As A Twitter-Like Communication Tool Read More , if you make use of Automattic’s P2 Theme, you can also turn WordPress into a tool that may help pull your business or organization out of the uncommunicative rut. The theme takes much of its usability from Twitter and it allows you to easily, and in real time, post and reply right from the front page. Want to know more? Just check out the post How To Use Wordpress As A Twitter-Like Communication Tool How To Use Wordpress As A Twitter-Like Communication Tool Read More . 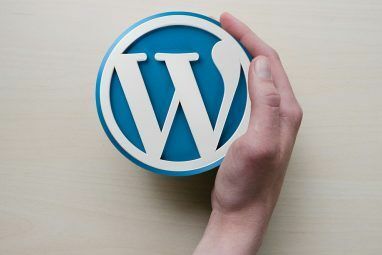 WordPress, even though it began as a simple blogging platform, can be used in many different ways. These are some of the best non-blog WordPress themes highlighting many of those non-blogging uses. 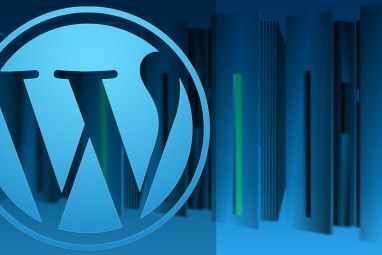 What other uses (and themes highlighting those uses) can you think of that WordPress may be good for? Let us know in the comments. Explore more about: Blogging, Content Management System, Wordpress Themes.